Grab your hiking boots, the dog, a couple of energy bars, and some water. It’s time to hit one of America’s 60,000 miles of trails in the National Trail System. On November 17, it’s National Take a Hike Day, an annual event designed to get you outdoors for some fresh air, scenery, and exercise. 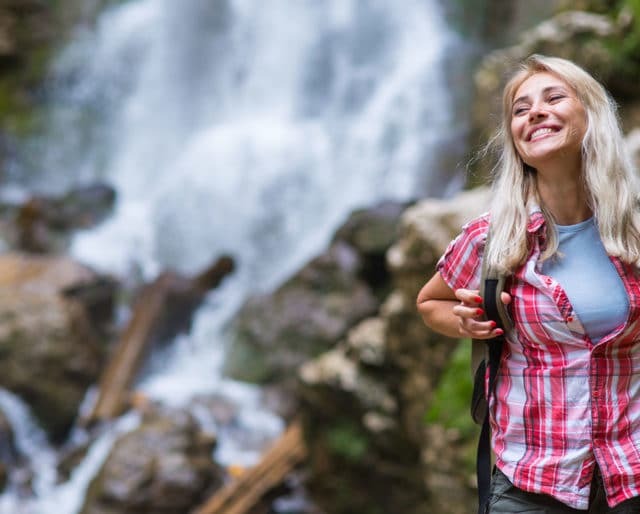 Hiking is a cross-country-long walk to get that heart pumping while you breathe deeply in air that’s not clogged with auto fumes and pollution. You never know what you’ll see out on the trail. He became the first person to reach the highest mountain peaks on all seven continents. ​Climbers Norgay and Hillary achieved success by hiking to Mt. Everest, the tallest mountain in the world. ​A group of climbers, including someone named Hudson Stuck (not the best name for a mountain climber), reached the summit of Mt. McKinley, the highest mountain in North America. Even if responsibilities don't allow you to take a trip in the near future, make a plan to go when you do get the time. The National Trail System covers all 50 states. You can take a short hike. Or, you can go on a hike for two or three days. It's up to you. A volunteer vacation is a one where you give something back. On National Take a Hike Day, the American Hiking Society can recommend a variety of vacation options. Many trails require regular maintenance, debris cleared, or small buildings constructed. At the end of the day, everybody shares stories around the campfire. Blogging about something beneficial and important like hiking may get you some attention and make you feel terrific. Take pics and post (on your return, of course) about your hiking experience. Share on all the social media platforms including Instagram and Facebook. Prospective homebuyers seek out nearby hiking trails over security systems, golf courses, and neighborhood parks. ​Hiking inspires both skiing and snowshoeing as new sports. ​Hiking reportedly enhances your taste buds by 35 percent on the trail — boosting the flavors of energy bars and freeze-dried foods. So much of our lives are spent inside buildings. After awhile, it could seem like the walls are closing in. That's why National Take a Hike Day is a great opportunity to break free. For a couple of hours on the trail, you can look at actual scenery instead of pretty scenic pictures on your computer screensaver. Breathe deeply and remember that life does exist outside boxes. Don't get us wrong — we love our gyms. But walking on a treadmill is more akin to what hamsters experience inside their wheels. To get a better workout, hit the trail. The changes in elevation from flat, to slight incline, to steeper incline, to downhill — all help you use muscles that you may not flex everyday. Plus, on a leisurely hike, you don't feel pressured to keep up with the Joneses in the gym. On a hike, check out the birds that you don't see in the city or near your home. There may be all kinds of wildlife scurrying around you in a parallel universe where humans only reside on the periphery. Look at the vistas as you walk and marvel at the formations of the clouds. Breathe.